Want to see more from this challenge? Aww, those canes (both the real ones and your nails) look great and yummi! How colorfull... I thougt about the white and red candy canes but these look lovely too! lol and sour hehe. I haven't had warheads in a long time! So adorable! I love it. 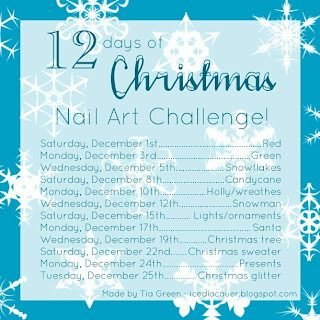 Your candycane nails look yummy!